YOU ALSO CAN START A SUCCESSFUL CAR WASH BUSINESS NOW !! WE WILL TEACH YOU HOW TO MAKE MONEY FROM OUR CAR WASH FRANCHISE BUSINESS ! Small Capital, shortest period return, outstanding achievement, Income is stable and absolutely no risk. This business is suitable for first time entrepreneurs who want a business that does not required huge investment amount and yet easy to manage. Join us as Franchise Business Partner NOW ! Don't MISS It ! Call NOW ! Sharing of resources and network. Ongoing operations and marketing support. Simply stated—we care about your success. Do send your enquiries to enquiry@supwavecar-wash.com.my and we will send you more detail. Send us an e-mail or call us to request for SUPWAVE PROGRAM which will show the information of ROI (Return On Investment), Projection Sales, Fixed Expenses, etc. We are able to help you to apply business loan from PNS to set up this business. We will help you succeed with our professional solutions!! If you are interested in learning how you can join the SUPWAVE team, get in touch with us today and one of our knowledgeable franchise consultants will contact you. One way to get involved in the car wash business is to go through a Car Wash Franchise Company. A Franchise company is one where they will authorize a qualified individual to open, operate and profit from their name brand, goods and/or services in a particular location. The benefits of buying a Car Wash Franchise are many. For one you are buying instant brand recognition as the parent franchise company will promote and advertise their franchise name. Secondly you are buying a support network. The car wash franchise company should assist you with some or all of the following; site selection, construction advice and counsel, legal and financial counsel, marketing and advertising exposure and above all training. We believe a SUPWAVE Car Care will be the car wash concept that changes the car wash industry. This ground-floor opportunity will provide SUPWAVE Car Wash franchisee’s with territory choices, and, in most cases, the opportunity to be the “first of its kind” operation within local marketplaces. If you take the time to fully understand the SUPWAVE Car Wash concept and where our business model is positioned in the marketplace, we believe you’ll agree with us that SUPWAVE Car Wash is the freshest and hottest franchise concept available today in Malaysia & Singapore. Entrepreneurs, investment groups, and multi-concept owners are all welcome. Current car wash owners interested in converting their existing facilities are also welcome. Most vehicle owners do not have the time or desire to wash their vehicles at home, or they have no choice but to use the automated car washes that use tunnel car wash machines and conveyor tracks. In our opinion, these types of car washes provide an inferior cleaning job and could damage the customer’s vehicle. SUPWAVE Car Wash provides the alternative, and separates itself from the “competition” by providing our customers with superior 100% hand wash and detail services they trust combined with a truly fresh and exciting brand experience with NO TUNNELS, NO CONVEYORS and NO EXPENSIVE MACHINES. WE ARE DIFFERENT and our customers and franchisees realize the benefits. Do not invest in a car wash franchise that is merely another expensive automated wash tunnel machine inside another expensive building & larger space required. Your franchise business should be about making money with limited financial risk, not spending more money than your competitor just to compete in your local marketplace. SUPWAVE Car Wash franchise initial investment costs as low as RM120,000-RM180,000 including the initial franchise fee … this investment cost can be 1/10th or less of the initial investment needed for a typical tunnel wash concept. This substantially lower investment cost allows SUPWAVE Car Wash to also enter smaller population markets, open more centres and gain more of a national presence. Lower investment cost also provides the opportunity for success at substantially lower sales volumes per SUPWAVE Car Wash Centre. These lower investment cost benefits combined with the ability to lease and remodel existing buildings, can provide franchisees with greater flexibility in maximizing their franchise opportunity. The more complex the business … the more the initial investment typically costs and there is also more potential for failures in customer service making your initial investment risk even greater. 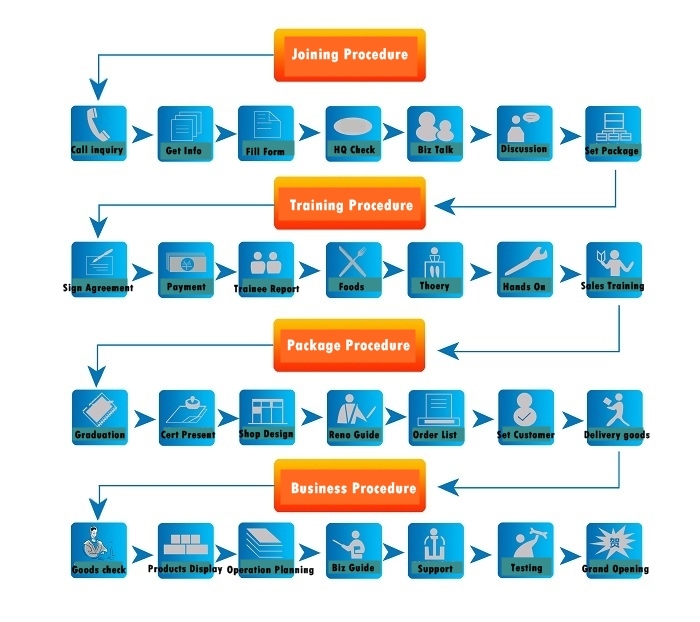 The SUPWAVE Car Wash business model incorporates the “KISS” Keep-It-Simple-Standard operations strategy from facilities to services to staffing. Whether you plan to operate one or multiple SUPWAVE Car Wash franchises, you’ll appreciate our focused and easy-to-operate & manage concept. SUPWAVE Car Wash & Detailing services are simple for your customers to understand, simple for your staff to implement, and relatively simple for you to manage “hands-on” or manage as an “absentee” franchise owner. As a Franchisee, you will benefit from the support team at SUPWAVE Car Wash that has over 15 years of experience and expertise in concept development, franchising, operations, architecture and construction, sales, marketing, and hospitality. Territories are going fast, so contact SUPWAVE Business Franchise Dept today and find out more about becoming an franchisee and joining the SUPWAVE Hand Car Wash Business Franchise Partner team member NOW! 26th SUPWAVE BEIJING training ended, training for the first time Malaysia students ! (Mr Jayson & Mr Vilsonn) on 9 Sept 2008, 26th training headquarters to a successful conclusion in Beijing! separately from this training and shuyang, Jiangsu, Henan changge dialect, Urumqi, Xinjiang, Shaanxi Xian, as well as Malaysia's total of a dozen students! This training first oversea students from Malaysia! Companies pay special attention to quality and the quality of this training, namely strengthening combination of theory and practice, focusing on students from the master on the basis of product characteristics and construction skills, practice enhancement training, greatly strengthened on students ' in-store marketing and Management Training, to further improve student satisfaction rates for training! Malaysia student Mr Jayson & Mr Vilsonn we were from Malaysia trainees, training through this period of time, let us learn a lot of automobile car care business skill, customer services related to management, cost control, personnel management and other related aspects of knowledge! AppreciateSUPWAVE Beijing coach, all have a responsibility, and we are grateful became a members of the SUPWAVE in technical training support, life care! we left Beijing with a lot of good memories! We want an opportunity to come to Beijing again, attend SUPWAVE Car Detailing training! First SUPWAVE brand in Malaysia's car care centre , I believe that we will bring SUPWAVEthe signs carried forward! "YOU ALSO CAN START A SUCCESSFUL CAR WASH BUSINESS NOW !! "